"Paul Gough, speaking at the recent APTA, PPS Conference in Chicago – attended by 10,000+ Private Practice Owners"
* $11 Test Drive of Cash Club is limited to one per person. Paul is a business genius...straight up! The methods discussed in this book are directly responsible for me being able to grow my PT practice from $0 to $50k/month in 2 years. Without Paul and the strategies in the book, there's no way that would have happened. If you have a healthcare practice or are considering starting one do yourself a favor and buy this book right now...without a doubt the best investment you can make! Hands down one of the best marketing books I've ever read for getting your physical therapy practice off the ground and not having to rely on doctor referrals. Paul is a natural story-teller, and is able to simplify seemingly complicated marketing and sales strategies into easy to remember, and easy to implement steps that you can start to do right away - while not feeling overwhelmed. If you implement even just ONE thing he recommends, you'll see a difference immediately. 4-6 clients per week to 15+ in just weeks! I started my struggling business with only 4-6 people per week for 5 months, wondering how I'd ever find people interested in my services and scared to know how to even pay bills. I'm now 7 months in, I read this book, implemented many of these strategies and items from Paul, now looking at 18+ people in the door per week in just a couple of weeks while making a profit in my business instead of just making enough to pay the bills! The book is loaded with a wealth of information on how to market your practice. If you are tired of begging MD's for patients or just stuck in your marketing then this book is for you. I just opened my practice using many of the tips that are included in this book and the results have been phenomenal. If you are a looking for a no nonsense approach to growing your practice then look no further. My recommendation would be to buy the book today! Use the methods in this book from day 1 to start improving the bottom line of your business!! Wow! What a breath of fresh air this book is!! Think you know how to grow your business? Think again!! Paul’s book exposes the “traditional” methods of marketing for what they truly are in this evolving world of healthcare - outdated and ineffective!!! Then he explains the game changing methods he uses (and so many have successfully adopted) in an easy to understand and implement step by step way... Healthcare is changing - don’t get left behind!! This is an absolutely MUST READ book if you are highly interested in learning about business and marketing, ESPECIALLY if you are a Physical Therapist! After all, how much business and marketing did you learn in Physical Therapy school? This is top of the line information and will most likely be the best $20 you can ever spend to 100x your ROI and understanding of marketing. You will NOT regret it! Paul holds nothing back. He gives his most successful tips and strategies for marketing directly to your perfect patient, and how to get them in your door. A must read for any therapist (or Chiropractor, DO, etc) in private practice who wants more efficiency in their marketing and business. Stuck Cash Practice or Thinking About Starting A Practice? An easy to read framework of how to transform a stuck practice into a successful business. It is full of insights how to grow and scale a practice without dependence on referrals from Doctors, while doing so as a cash practice. Hands down a must read if you have a cash practice or thinking about starting one in the future. So do you want to blaze your own trail building a cash practice or do you want to follow a proven path! Paul is hands down a marketing and biz genius. His tips will not only help you with marketing, but even more importantly, will help you change the message you tell your patients. This has probably helped me more with getting better outcomes for my patients than any other con-ed (PT) course that I have ever taken. Do yourself (and your patients) a favor and buy this now! Trying to run a successful PT business? If you have a PT business or planning on starting a PT business then this book is a must! Paul's marketing style has significantly helped me grow my business and I no longer have to worry about getting physician referrals. Do yourself a favor and buy this book ASAP and start implementing as much as you can! As you’ll discover in the book, Facebook is one of the most profitable places to look right now for direct access to new patients. In the book I reveal how I use it to get in front of my perfect patient and with this instant access bonus PDF, you’ll get 7 of the best performing Facebook ads I’ve ran at my own clinic - or for my clients. Choose this option, and AS WELL as the “Best Ever” Facebook Ads PDF, I’ll also give you instant access to my “WEALTH MARKETING” DVD program. This is a 9 module program (Value $1997) that covers everything from how to fill up workshops, how to do new patient testimonials, getting leads from community events, converting cash pay patients - and how I use social media at my clinic (…plus so much more). That test-drive includes access to my online Facebook community, as well as two months of the 32 page monthly Cash is King Marketing Publication and coaching CD, plus support from my coaching team to help you grow your business. That’s just a sneak peak of what is waiting for you when you order the book… there are 10 chapters, 63,000 words and a countless number of true stories, marketing lessons learned and solid gold marketing strategies, tips and ideas to help you to get your business out of the insurance rat race – and into the “nirvana” of working with more patients happy to pay in cash. If you are a cash pay clinic owner struggling to get a predictable flow of cash patients OR, you are an insurance based business owner fed up with low paying insurance companies, perhaps considering how you can get more cash pay patients so you can make more profit, this book is perfect for you. Currently, stock is limited. When you claim your FREE copy now, your order will be shipped from our warehouse priority stock. Order now and claim your free bonuses (valued at over $2000). 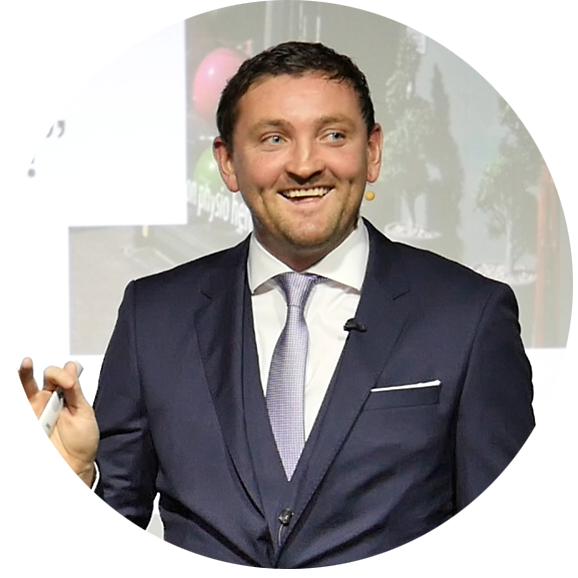 “Since implementing the Accelerator Method I've gone from making NO profit to generating 20% profit consistently each month! I no longer experience a "slow" month. We're at 97% capacity (which wasn't the case this time last year! ), and since taking on Paul's advice, we've hit every target. Implement what Paul teaches and you'll start being the owner of the thriving business you always dreamed of." Trupti Mehta, Manual Medicine PT, Washington D.C. Your copy of the New Patient Accelerator is FREE. I simply ask that you help cover publishing and shipping costs of just $9.95. Your copy will ship as early as 24 hours from now. Just click on one of the yellow buttons below and enter your information and we’ll get your FREE copy of the New Patient Accelerator Method sent to your door, while copies last. 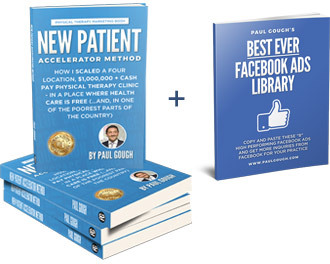 And because we only have a fixed number of copies of the New Patient Accelerator Method set aside at this special price of free – I won’t be able to make this offer available forever. I highly recommend you take advantage of this offer, and grab your FREE copy of the New Patient Accelerator Method while it’s still available, and while we still have supplies. If you wait and try to get your free copy later? 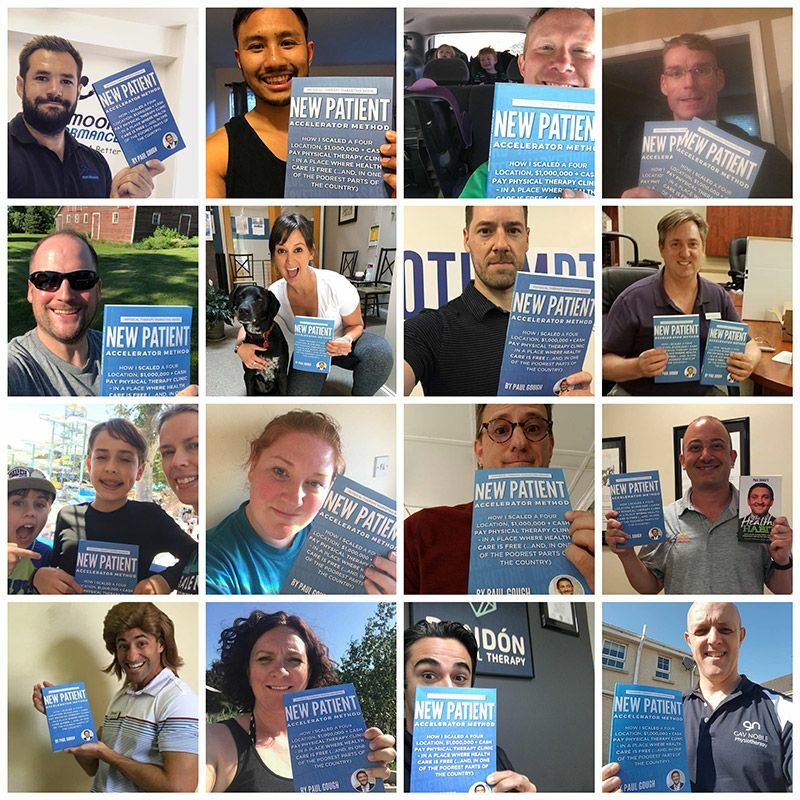 There is a strong chance we will have run out and you will have missed out on your opportunity to get a free copy of the New Patient Accelerator Method (this book has sold out six times already). I want to make the decision to claim your free copy right now as much of a “no-brainer” as possible. Simply send me a one-line email, and we’ll refund every cent of the small shipping costs – and let you keep your copy of the book, no questions asked. Chose which option works best for you below and get started. The book will be on its way to you in the next 24 hours. …like, I simply could NOT carry on being at the mercy of low paying insurance companies and not having a predictable system for finding my own new leads and patients. There’s nothing out there like it. I wish there had been something like this book when I was getting started. It would have saved me a lot of heartache (literally!) stress, time and money. When I first started my practice I had zero money, no business or marketing experience and everything had to be learned through trial and error. By testing, tweaking and optimizing my own system to the point of it being predictable and reliable allowing me to scale to a cash based clinic to four locations. This book was missing for me. The ability to know how to set up a marketing system that would predictably and reliably bring in new patients meaning I could have left the insurance trap years earlier. Being completely honest: I get some valuable shelf space in your library and if you like what I stand for and what my principles are and if I’ve done a good enough job of helping you via the book, maybe you will want to work with me at some point further down the line when the time is right. Real case studies of clinic owners just like you: Since anyone can claim to be a “marketing expert” in our profession these days, I thought it was important for you to see proof of what DOES actually work. This book contains real proof of business owners who have used the principles in this book to walk away from insurance companies (some completely, some over time), clinic owners who have started cash based practices from scratch – and within 12 months are generating $100k, and clinic owners who have made their insurance pay clinic a success – and then used the same principles to turn around and start a CASH PAY clinic in other states. Some of these case studies I have kept under wraps – until now. Until I had enough of them to prove beyond all reasonable doubt that my success with this system was not a fluke. I am now one of 100’s of clinic owners who have used this system to walk away from insurance hassle to a clinic that is more profitable and easier to run. These real life examples will completely change your thinking about what you can do as a clinic owner – about what is possible for your clinic – and will give you lots of ideas on how you can do it better. 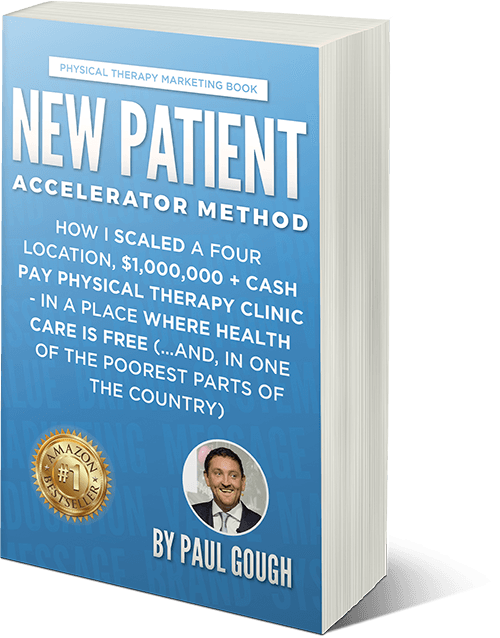 PAUL GOUGH is a two time No.1 bestselling author of The New Patient Accelerator Method, The Physical Therapy Hiring Solution, and The Healthy Habit. He is also a former professional soccer physical therapist turned successful clinic owner from the UK (a country where healthcare is free). He is the founder of the Paul Gough Physio Rooms – a successful cash pay clinic he started from a spare room in his home with no money down and with no business or marketing skills. He has since scaled his clinic from one to four locations, and zero to $1m in cash pay revenue and he now helps clinic owners all across America and around the world to get more cash pay patients using his proven systems.